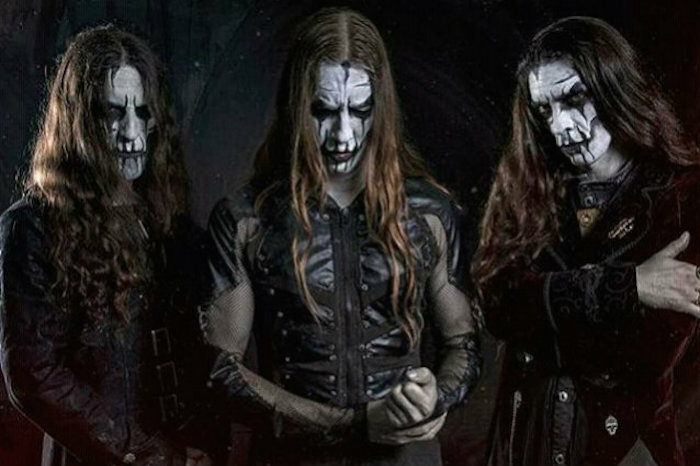 Dance and Laugh Amongst the Rotten is easily the best thing Carach Angren has ever done – and that’s saying something, considering the praise already received for their previous offerings. Where the majority of bands settle into a signature sound by their second, maybe third full-length release, this Dutch trio just keep evolving. Their unique storytelling approach has grown with time, from the scarlet woman of Lammendam, the terror on the high seas of Death Came Through a Phantom Ship, man’s inhumanity on Where the Corpses Sink Forever through to the (severely) broken home featured on This is No Fairytale – and this latest collection of Ouija board sessions, hauntings, possessions and ghost stories (with return appearances by a malevolent entity called ‘Charlie’ ) is their most accomplished project so far. Admittedly, the theatricality  and intensive orchestration that typifies this band’s music is not going to appeal to all black or symphonic metal fans – but if they get past that, this is easily the most accessible record the band has produced so far: it’s heavier, tighter and smoother than any of their back catalogue with near-perfect production quality. Ardek’s orchestrations are soaring crystalline structures, complemented by Seregor’s vocal performance that leaps from gruff barks to tortured wails at a moment’s notice. The guitar work (also provided by Seregor) is simple, solid and a great rhythmic counterpart to Namtar’s clinical drumwork. I have always held that black metal drummers are the best in any extreme metal genre (think Frost, Dominator or Horgh…) and the ‘new’ generation, like Krimh (of Septicflesh, Decapitated and Nargaroth) and Namtar are continuing this tradition. While more ‘brutal’ drummers exist, they tend to eschew sensitivity in favour of technicality, where on this album the two are in perfect balance: yes, there are blast beats, but these are diametrically opposed by gentle, almost jazz-like fills that add dimension to the ensemble effect. The rhythms in ‘Charles Francis Coghlan’ are of particular relevance in this case: fast fills over slow, sweeping passages contrast beautifully with slower, march-like percussion over faster orchestrations. What also aids in Dance and Laugh’s… accessibility is its flow: previous albums were marked by sudden, jarring changes in pace and tone and, while these shifts are still present (‘Blood Queen’ exemplifies this) they are handled with more care, and passages slide into each other more seamlessly. That said, a Carach Angren hallmark that is still in place is the use of incidental sound effects – breathing, glass breaking and the like – that heightens the effect of an artistic horror project rather than just a black metal album. The ebb and flow effect on the whole gives a bizarre life to the album, thereby heightening the melodrama and the horror aspects thereof; coupled with the far crunchier guitars (see ‘Song for the Dead’ particularly, my top pick for the album) a delightful effect ensues, combining black, symphonic and melodeath elements in a narrative that is still less of a ‘rock opera’ than a ‘metal melodrama’. 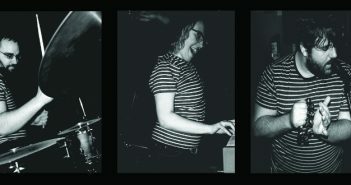 The coda of the album is a microcosm of the whole: gentle keys towards the end of ‘Three Times Thunder Strikes’ are joined by a soaring string arrangement that breaks into a punishing palm-muted passage overlaid with Seregor’s unmistakeable chanted delivery, all driven by a galloping, yet tightly controlled rhythm section – 150 seconds that perfectly sum up the album as a whole. All in all, while Dance and Laugh Amongst the Rotten is still profoundly theatrical in nature (echoed in song lyrics that begin, “Once upon a time…” à la ‘In de Naam van de Duiwel’), it’s a more tempered result from Carach Angren: less over-the-top histrionics, and consequently a more believable, authentic record. No mean feat, given that Dance and Laugh Amongst the Rotten’s Ouija board experiment gone wrong is just a slightly more fantastic theme than This is No Fairytale’s Hansel & Gretel-meets-domestic abuse. The song of the same name was released as a teaser on 25 April this year. Excellent artwork by Costin Chioreanu calls to mind lithographic theatre production posters of the fin de siècle period, albeit rendered in grand guignol tones.